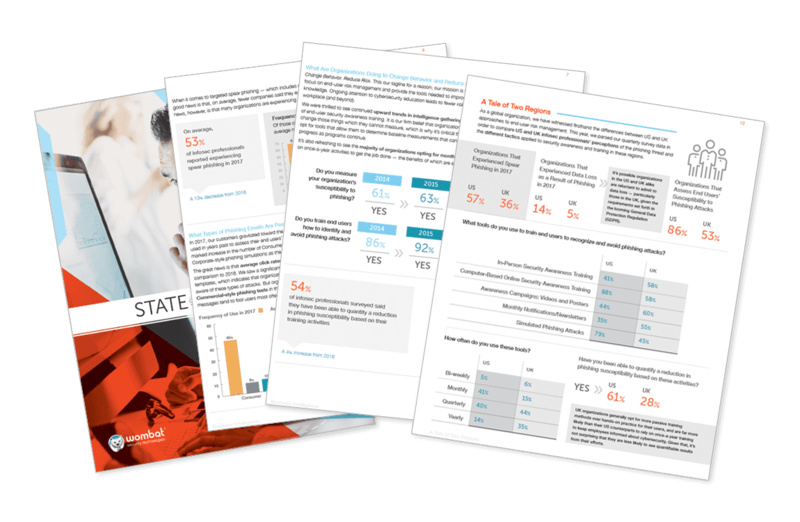 Wombat Security, a division of Proofpoint and the leading provider of cyber security awareness training announced the release of its 2018 Beyond the Phish Report, which provides analysis of nearly 85mn questions and answers posed to its customers’ end users—a significant increase from 70mn in the 2017 report—across 12 categories and 16 industries. The report identifies strengths and weaknesses related to phishing as well as a range of cybersecurity threats beyond the phish. The 2018 Beyond the Phish Report also validates the need for organisations to use a combination of simulated attacks and question-based knowledge assessments to evaluate their end users’ susceptibility to phishing. For example, though Wombat’s 2018 State of the Phish Report revealed a nine percent average click rate on phishing tests across all industries, the Beyond the Phish Report shows that end users incorrectly answered 24% of questions related to the identification and avoidance of phishing attacks. This indicates that organisations relying on simulated phishing tools do not get a complete picture of their end users’ understanding and susceptibility to the many different tactics cybercriminals employ when crafting email-based social engineering attacks.